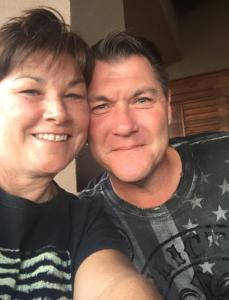 Hour #1 Guests: Chip & Renee Wittrock - are the co-founders of Sportsmen’s Business Alliance, which was created to give consumers a resource where they can easily identify these businesses that share their same passions and interests. Chip & Renee own multiple businesses, are thought leaders in the community, and they work to bring biology-based wildlife conservation efforts & 2nd Amendment rights to the forefront of local economic conversations. 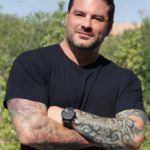 Cam Black - is a fitness expert who demonstrates the importance of incorporating both mental and physical strength into Self-Defense Training. Cam Black is a fitness expert who demonstrates the importance of incorporating both mental and physical strength into Self-Defense Training. Cam is also a Brand Ambassador for Rockwell Watches. He grew up learning firearms from his father through hunting in west Tennessee. It wasn’t until he and his parents’ lives were threatened that he realized the importance of self-defense & how to concealed carry. Cam began taking self-defense more seriously when he got married and moved to Atlanta, and what he realized was the importance of incorporating both mental and physical strength into his training. Cam is now training knife fighting & concealed carry tactics with TactOps USA out of Miami. Cam Black demonstrates the importance of incorporating both mental and physical strength into Self-Defense Training. 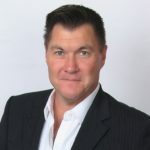 Chip Wittrock is the founder of Sportsmen’s Business Alliance, which was created to give consumers a resource where they can easily identify the businesses that share their same passions and interests. A life long avid hunter, Chip is also highly active in wildlife conservation. For the last 30 years, Chip has put boots on the ground (including his own) to improve wildlife habitat and introduce hunting to this nation’s youth. He is highly awarded and sits on a half-dozen boards that support his beliefs. It is because of this experience that he created the SBAdirectory to create a community of like-minded Businesses that support our long-standing heritage of hunting, fishing, shooting sports and archery. Renee Wittrock is the co-founder, along with her husband, Chip, of the NEW Scottsdale start-up Sportsmen’s Business Alliance. She owns multiple businesses, is an author, international speaker and Entrepreneur from Scottsdale Arizona. 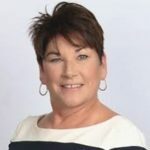 She is active in the business community and economic development and she is the current Chair for the Scottsdale Chamber’s Airpark Action Committee. As a thought leader in the community she works consistently to bring biology-based wildlife conservation efforts to the forefront of the economic conversations in the city. As a community leader, advocate for our 2nd Amendment rights and the protection of our hunting and fishing heritage, Renee sits on Hunters and Angler’s Heritage Workshop Group (HAHWG) which is a group supported by Arizona Game and Fish Department (AZGFD) along with 60 Non Government Organizations. She also is a consistent participant and speaker at the AZGFD Outdoor Business Summit. She speaks on the decline of hunters and fishermen in the United States and how that problem mirrors the work force issues that are being experienced by the business community. She speaks and writes about Recruiting, Reactivating and Retaining Hunters and Fishermen in the United States and the need for education and social outreach in this area. Renee earned her BA in Journalism in 1990 from San Diego State University. She has been happily married to her husband, business partner and best friend Chip Wittrock since 1991. She and Chip own and operate Wittrock Financial Group (WFG). Established in 1987, WFG is boutique wealth management firm in partnership with BCJ Financial. According to Renee, “Wittrock Financial Group has been the backbone that allows Chip and I to support our entrepreneurial, hunting, fishing and activist habits” with their most recent venture being the soon to launch Sportsmen’s Business Alliance. A family business that will include their pride and joy, their son Levi Wittrock as an active partner. Renee & Chip Wittrock, co-founders of Sportsmen’s Business Alliance. Conservative and truly believes that AMERICA CAN BE GREAT AGAIN! Next to God and her family, her freedom is the most important element of her life. Renee works on a grass roots level to protect our 2nd Amendment rights. She puts her time, effort and money where her mouth is when it comes to protecting our hunting and fishing heritage and biology-based wildlife conservation. She is the mother of Levi Wittrock a world class hunter, collegiate and professional bass fisherman. If you cannot find Renee , check outdoors, she is sure to be camping, hunting or fishing with her husband Chip, their son Levi and their 2 dogs Lily and Gypsy. 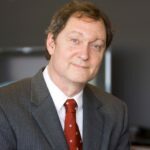 John R Lott is the nation’s preeminent expert on guns and author of a number of books including “More Guns, Less Crime” and his latest “The War On Guns: Arming Yourself Against Gun Control Lies”. John Richard Lott, Jr. is an American economist, political commentator, and gun rights advocate. Lott was formerly employed at various academic institutions including the University of Chicago, Yale University, the Wharton School of the University of Pennsylvania, and the University of Maryland, College Park, and at the American Enterprise Institute conservative think tank. As of 2016, he is a columnist for FoxNews.com and the president of the Crime Prevention Research Center, a nonprofit he founded in 2013. Lott holds a Ph.D. in economics from UCLA. Larry Sharpe (L) is a Bronx native, a Marine Corps veteran and an entrepreneur. He is now running for Governor of New York as a Libertarian Candidate in order to make education more effective through innovation, reform the criminal justice system to focus on rehabilitation, and build an economy that works for all of New York State. Larry is also a management consultant with 15 years of experience mentoring international executives, entrepreneurs & sales people. He is also a teacher, previously serving as a guest instructor for business management and leadership at institutions such as Yale University, Columbia University, Baruch College and John Jay College. Michael Sodini is the founder of Walk The Talk America (WTTA). Michael is a 3rd generation firearm industry professional, and known by many as the “most un-gun, gun guy.” He is the President of Eagle Imports, Inc, that imports fine firearms from all over the world, such as the Bersa, Llama, Metro Arms, and Grand Power, and Avidity Arms firearm brands. After a series of unforeseen tragedies from 2006 – 2009, Michael eventually became President of Eagle. Over the last 9 years, he has successfully cultivated and evolved the Bersa, Metro Arms, and Grand Power firearm brands. 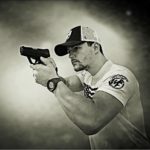 The latest brand to be added to the Eagle family, Avidity Arms, is a partner-project with Rob Pincus, and is currently in the early stages of development before production. In 2018, Michael formed the Walk the Talk America initiative, a non-profit organization dedicated to making positive change in relationship to mental health, and firearm awareness. Through organizing a profound team of experts from different fields, and all walks of life, unbiased by politics, media, or personal prejudice – WTTA seeks to input opportunities to enhance communication, compassion, calls to action and education. Chip & Renee Wittrock – are the co-founders of Sportsmen’s Business Alliance, which was created to give consumers a resource where they can easily identify these businesses that share their same passions and interests. Chip & Renee own multiple businesses, are thought leaders in the community, and they work to bring biology-based wildlife conservation efforts & 2nd Amendment rights to the forefront of local economic conversations. 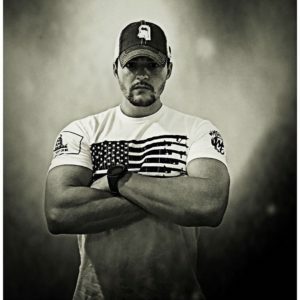 Cam Black – is a fitness expert who demonstrates the importance of incorporating both mental and physical strength into Self-Defense Training. Michael Sodini – founder of Walk The Talk America (WTTA). Michael is a 3rd generation firearm industry professional, and known by many as the “most un-gun, gun guy.” He is the President of Eagle Imports, Inc, that imports fine firearms from all over the world, such as the Bersa, Llama, Metro Arms, and Grand Power, and Avidity Arms firearm brands. His Walk the Talk America initiative is a non-profit organization dedicated to making positive change in relationship to mental health, and firearm awareness. 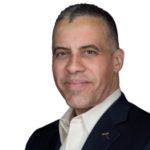 Larry Sharpe – is a Bronx native, a Marine Corps veteran and an entrepreneur. He is running for Governor of NY as a Libertarian Candidate in order to make education more effective through innovation, reform the criminal justice system to focus on rehabilitation, and build an economy that works for all of NY State. John Lott – is the nation’s preeminent expert on guns and author of a number of books including “More Guns, Less Crime” and his latest “The War On Guns: Arming Yourself Against Gun Control Lies”. John Richard Lott, Jr. is an American economist, political commentator, and gun rights advocate. He has recently written an Op-Ed on the New York Post based on his research that directly refutes the Obama Era claim that America has more mass shootings than any other nation. Share the post "GunFreedomRadio EP128 Bumper Sticker Wisdom, Originally Aired on 9.22.18"